This is a chess variation played on half of the board. You stalemate the opponent; you win. Pawn is always promoted to Queen. Crab is a variation on pawn. It attacks diagonally like a pawn. It promotes to a Rook. Progress through 18 stages of human vs computer quest. The computer gets tougher with each stage. 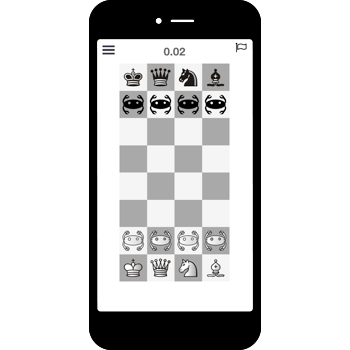 You will have to login to see how well you are doing against other players on Halfchess leaderboard. Select two player games from side menu and create a match. Invite your friends on whatsapp or other platforms. Wait for them to join - the match starts when they do. If they dont - just message them (on whatsapp) to join by clicking the invite link.